Upon buying her first home in 2012, ‘bbelly’ felt she was being prudent in obtaining a pre-purchase building inspection. Following a report finding only that one corner of the lounge needed re-blocking, the tile adhesive was shot and the bathroom needed re-tiling, the fence was leaning and there was a crack in the driveway, the Whirlpool forum participant went ahead. After discovering a large hole in one bedroom floor, rotten floorboards, a rotten bathroom (the shower wall collapsed after she kicked it lightly) and mold on the walls of the adjacent bedroom, however, she was left with a very bad taste in her mouth. Whilst this account cannot be independently verified, it is far from the only case of things going wrong. Yet outside of Queensland, there is no requirement whatsoever for inspectors to be licensed. According to a number of commentators, this is creating a situation whereby potentially shonky dealers are operating in an unaccountable environment. One such commentator is Housesafe Training and Education managing director Howard Ryan. In a recent interview, Ryan told Sourceable that he would typically get around five enquiries each week from people who had no experience within the building industry yet wanted to set themselves up as a pre-purchase building inspector. Prior to starting up his current role as a trainer of inspectors, Ryan also said he would be asked to act as an expert witness for home buyers who were taking legal action against their inspector and would frequently find that the inspector in question had no background in building whatsoever. According to Ryan, not having mandatory licensing is leading a loss of confidence on the part of consumers and eventually to litigation. Whilst many unqualified inspectors would pick up inadequate drainage after rain hits the ground, for example, they would miss the fact that in many cases, the water would pool up against the side, back, front or rear of house before going under the concrete slab and therefore causing significant problems relating to mold, settlement and disturbance – potentially costing the home owner tens of thousands of dollars in rectification work. Problems with structural integrity of roofs, such as missing struts or truss that had been inappropriately cut for a skylight are another area which is easily missed, he said. Builders Collective of Australia chief executive officer Phil Dwyer agrees, adding that he would like to see not just pre-purchase inspectors but all building consultants registered and held accountable for their reports. “Only Queensland register building consultants, any of the ones from Victoria, ACT or anywhere else in the country are not accountable to anyone,” Dwyer said. Mandatory registration is also supported by building consultant industry groups. In South Australia, for example, the Association of Building Consultants says it supports the push toward mandatory registration – again not just for pre-purchase inspectors but all forms of building consultant. Association executive committee member and managing director of Blue Chip Building Consultants Chris Short says costs for consumers associated with rectification and potentially legal action when things go wrong cannot be understated – especially as many had only recently undertaken the most significant investment of their lives. Along with termite damage, items missed by unqualified inspectors include cracks concealed by fresh coats of paint as well as issues relating to electrical wiring and leaking showers, Short said – areas which are able to be checked through electronic instruments but are not readily apparent from a purely visual perspective. As well as hurting consumers, Short says unqualified operators undercut genuine consultants and inspectors who have a proper background in construction and take sufficient time to get the job done properly. “There are plenty of people who hold themselves out to be capable of building inspectors but in reality, when you distill that down, there are a small number of people who are qualified,” Short said. In terms of what should be required to obtain a licence, Short says inspectors should have a basic awareness of matters such as real-estate practice, property law and contract law as well as qualifications and several years’ worth of building sector experience. To protect members of the public, each inspector should be required to have minimum levels of assets and be accredited by a peer group such as a reputable industry association. Every five years or so, assessments performed by the person in question would be compared with those done by a peer on the same property. Ryan, meanwhile, would like to see either a builder’s license or demonstrated experience in residential construction, with those unable to demonstrate this having the onus upon them to justify why they should be granted accreditation. Opinion differs, however, as to whether licensing should take place on a state or national level. Whilst Ryan argues that standards being followed are national standards and therefore accreditation should be national, Short says the inspections are tagged onto the way in which the real-estate sector works in each state and that mandatory licensing should thus ideally be managed at state level. As things stand, a lack of licensing requirements is allowing fly-by-night pre-purchase building inspectors to operate without restriction and undercut genuine professionals everywhere except for Queensland. In order to best protect consumers and the legitimate part of the industry, however, it seems that these people should be stopped and that a regime of compulsory licensing is needed. I have no problem with licensing and insurance requirements for property inspectors, however those who think it's a magic bullet should think again. Licensing of builders in Victoria has not prevented cowboys and shonky builders from ripping off home owners. Then there is also a possibility that even a competent inspector may be lazy or corrupted or having the inappropriate relationship with real estate agent. Many are mistaken in thinking that the length of time taken is a good indication of inspection thoroughness. I disagree. Anyone experienced knows that today he does in less time than a decade ago. Inspector is not there to grow vegetables but to detect significant issues. 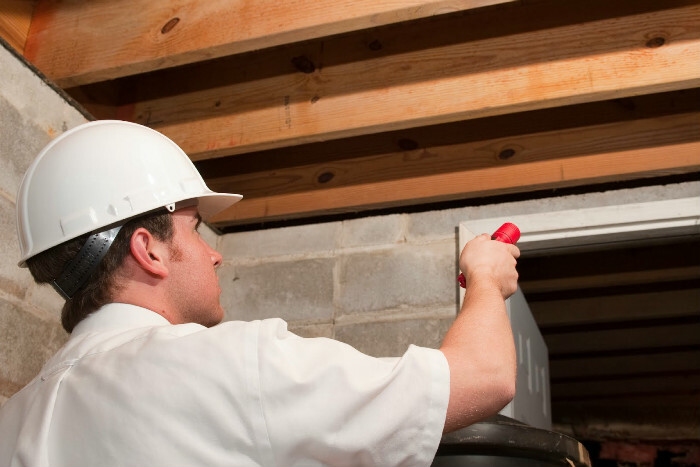 Experienced, and well-equipped inspector does not need to spend excessive amounts of time. I have seen close to 10,000 homes and many times I will spot significant issues before I get out of the car. I would be very worried if the inspector was spending 2 hrs on an average home. Does he know what he is doing or is he just blundering about pretending. Then, there is the quality of the inspector. How do you spot a good one? Look out to the sea. What do you see? Is it a cruise liner or an iceberg. Liner will have substantial volume of qualifications above water line and substantial volume of experience below. Iceberg, substantial volume below water line and nothing on top. then there are differences between liner, fishing boat and a dingy. There is no chance that any of this will be sorted out anytime soon, in the meantime do your diligence, check qualifications, insurance and references. Do they use thermal imaging? If the inspector has not invested in the latest equipment for detection on most important investment in your life, stay away. We are spiraling out of control and with the new NSW change to the Agents act and on selling of reports things are only going to get worse. We are constantly battling to compete with the cheap and nasties. We are getting tide of it and are looking at other options. Great summary of the building inspection industry. I am a registered inspector (and good at it). But I will not be in the industry for much longer due to being unable to secure PI insurance (I a no claim history). The broker advised me that the insurer says there are to many claims and this profession poses to many risks. Time to retire. Can someone address this issue please. Our 'builder' is a prime example. Multiple successful warranty claims against his defective work, liquidation, de-registered building license, on the VBA disciplinary register, 140 plus defects to our home (Building Commission inspection report), contract, permit and plan changes without consent because 'that is the way he has always done it' or he 'didn't notice that on the plans' and guess what, he became? A Building Inspector for which he was not licensed or registered and found guilty by the Magistrates Court (March 2015) on two counts of misleading and deceptive conduct. Apparently 'Building Inspector' is a protected title in Victoria where as anyone can call themselves a 'property inspector'. No problem to him. He is now a 'property inspector' instead of 'Building Inspector' and has exactly the same promotional blog, does exactly the same work, charging people for inspections his track record clearly proves he is incapable of carrying out! Further, he claims on his web page blog that he is a VCAT 'accredited' 'expert witness' with considerable VCAT experience. There is no accreditation for VCAT witnesses! Expert in the field he alludes to, he certainly is not! Considerable VCAT experience he probably has but judging from his history of defective work, it is more than likely considerable experience was as a defendant and not complainant! VCAT allow testimonies from this calibre of so called inspector to make determinations that have the ability to devastate families financially and emotionally? Not good enough.